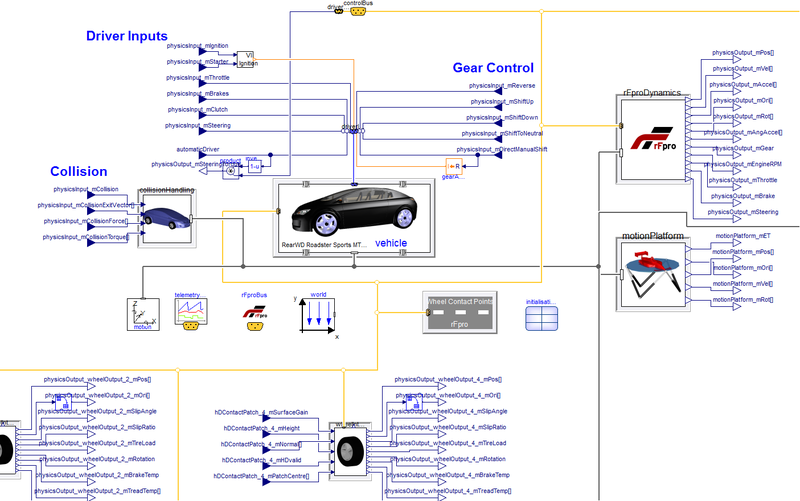 The VeSyMA – Driver-in-the-Loop library for Dymola is used to interface Modelica vehicle dynamics models built with the VeSyMA solutions to rFpro so that they can be used in Driver-in-the-Loop (DiL) simulators. Either the VeSyMA – Suspensions or VeSyMA – Motorsports libraries are used to create the full vehicle physics model and this is then exported using the Dymola Source Code Export feature and compiled into applications that are run within PTWinSim or vTAG environments. 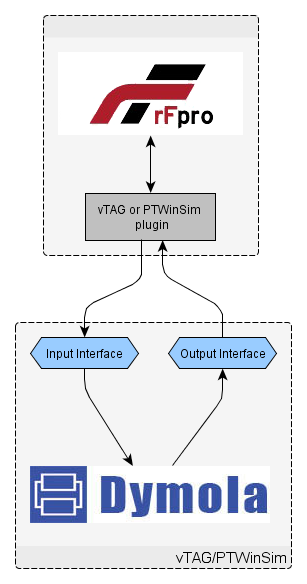 The PTWinSim and vTAG applications interface with rFPro using plugins that are developed by Podium Technologies. 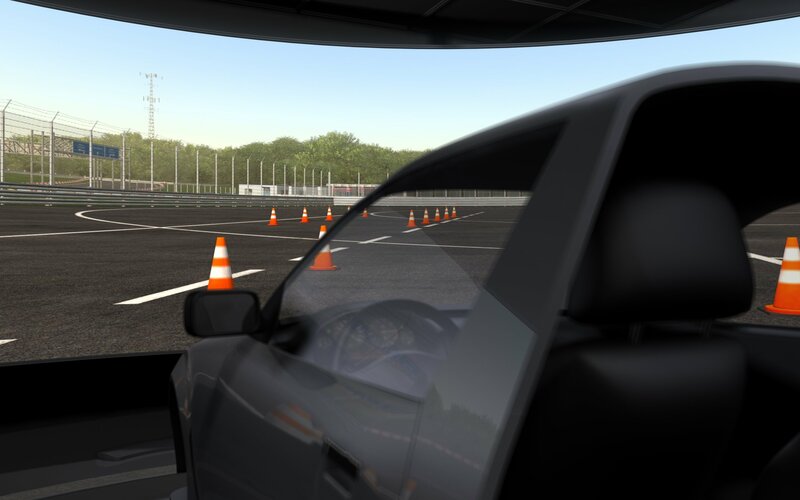 Using the VeSyMA solutons, a Modelica multibody vehicle dynamics model can be quickly and conveniently compiled for use in Driver-in-the-Loop simulators. It has been successfully applied to driving simulators from the leading vendors including Ansible Motion, MTS and AB Dynamics. A template is provided that can interface with the rFPro plugins. The user simply plugs their own vehicle dynamics model into this interface. Includes support for collision handling, tyre contact using the standard and high-definition surface options, track interface for chassis contact and the driver controls with feedback. Telemetry data can be customised and streamed from the model via PTWinSim and vTAG so that it can be viewed in Altas, Gredi or a similar data capture tools. A Build function exports and builds the simulation models into PTWinSim and vTAG applications in one step. Advanced real-time solver and optimisation features are selectable in the Build function, this assists the user in generating a model efficient enough for real-time simulation. Debugging options in the Build function allow for examining the simulation in more detail. Directly interface with the rFpro Terrain Server from Dymola, making it possible to simulate a vehicle in Dymola on a rFpro track. Closed loop drivers are provided so the vehicle can be driven automatically along a pre-defined coarse in rFpro. rFPro requires a large number of input and output signals to be able to run a third party vehicle model as part of a Driver-in-the-loop simulator. The library includes a template that defines the required signals and you simply extends this Modelica model and replace the vehicle model with your own vehicle dynamics model. Before exporting the model from Dymola it can be run in a test environment within Dymola. This is used to debug the model and ensure that it is working correctly and runs at a suitable rate for use with rFPro. After it passes the tests, the model is built into an App to be used in vTAG/PTWinSim to interface with rFPro. The template includes collision handling, the interface with the motion platform, the wheel to track interface, the atmosphere interface, a ground interface, the driver input interfaces as well as the other signals that are required by rFPro. It can also be easily extended to output additional telemetry channels or for interfacing to vehicle controllers, etc. 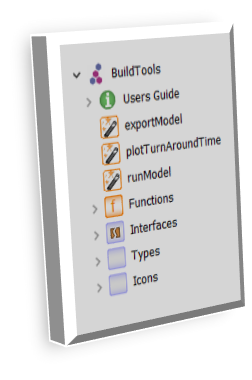 The functionality to export a Modelica model from Dymola and compile it into a PTWinSim or vTAG applications is provided in the Build Tools Library which is part of the VeSyMA – Driver-in-the-Loop solution. The user selects the model to be exported and configures the settings for inline integration, step size and the advanced real-time simulation flags available in Dymola. In addition the user can choose between compiling a vTAG or PTWinSim App and specify the names, app number and version number to be used. There are also a number of debugging options available such as turning on profiling or sending the internal states of the solver to output signals from the model. Once exported, the model parameters can be edited in Gredi or System Monitor. This enables the vehicle parameters to be changed without requiring the model to be recompiled. The library can be used to export any Modelica model and compile it as an app for use in vTAG or PTWinSim.